Hi All, I just placed an order for my first Stowa. I've been eyeing Stowa for a while and thought it was about time I get myself one. I ordered a Flieger Classic "40. Now I will try and wait patiently for it to be shipped. I'll share pictures once received. jagv428, PaddyChicago, Tommywine0 and 4 others like this. Excellent choice. Very comfy on the wrist. Post pix when convenient please. 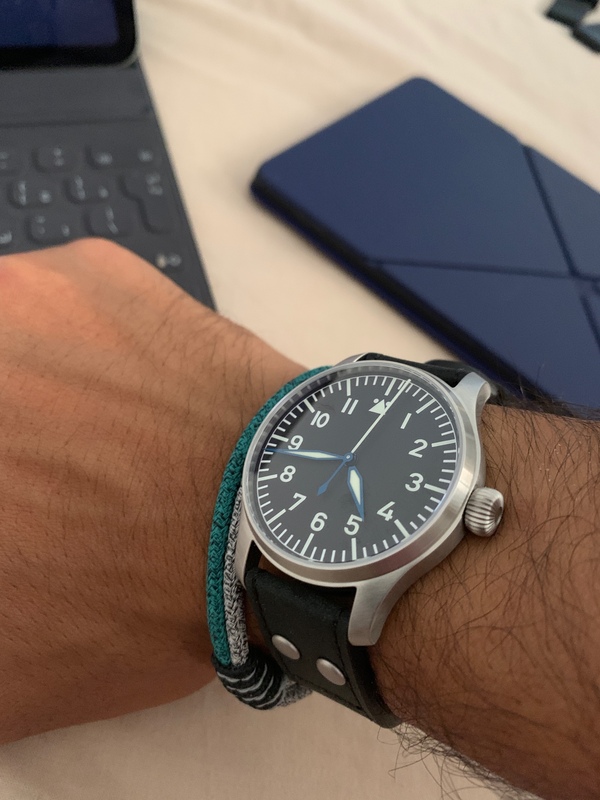 Congrats, Stowa make great watches, and the fliegers are classics. started http://rescapement.com, watches and what's next. Arrived faster than I expected! so excited to have my first Stowa. I have a feeling this isn't the last piece. Quality and service from them was one of the best I've experienced. Andrewcm09, tommy_boy, Vlance and 7 others like this. Ah, I'm very jealous! I was going to order a Stowa to celebrate my recent promotion ... However, I saw a vintage piece I had been eyeing for a while for a great price and decided to jump on that instead. So, the Stowa will have to wait until my birthday this summer. Very happy for you, though. Post pics when it arrives! Congrats great looking watch love the clean look. Quick shipping which is a bonus. Thinking I need to look harder at a Stowa.